Full-length pants for girls. Hemmed leg cuffs. Welt pockets with zipper. Solid colour. Available in three colours. Magic by Erreà are the classical tracksuit pants, that provide superior comfort when you train or during your free time, whether at home or outdoors. 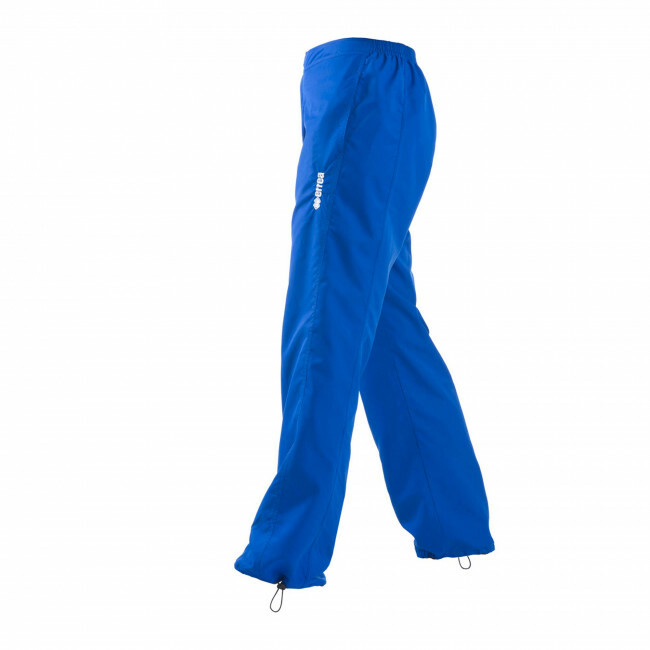 The waistband is elasticated and has an internal draw string to provide perfect fitting. To allow you to carry with you your personal effects, this garment comes with side pockets with zipper closure. The leg cuff is hemmed but non-elasticated, to leave you freedom of movement when running or practicing sport. The Magic pants by Erreà are perfect for girls. You may combine them with the Arizona jacket (men) or the Alabama jacket (ladies) to obtain the perfect set.